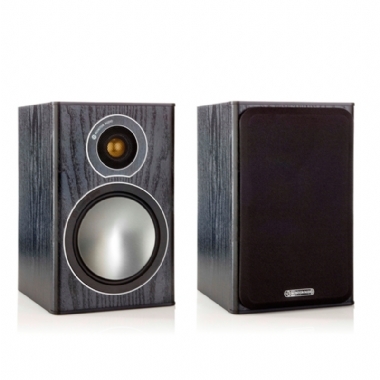 Monitor Audio Bronze 1 Bookshelf Speakers - The most accurate of any Bronze generation mini, imbuing the design with true ‘monitor’ status. The 5.5 ” bass driver has been created to out-perform a larger conventional driver and results in a cleaner, more dynamic delivery, even at high power levels. The Bronze Ones are able to play much louder and deeper than their compact size would suggest from close-to-wall positions in smaller room environments. Perfect for stand or shelf, or wall-mounted using our Universal Wall Bracket (UWB), the Ones will deliver great sound where space is at a premium.